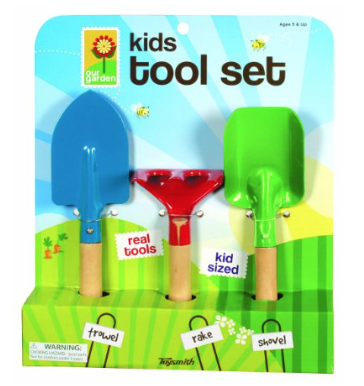 Kid's 3-Piece Garden Tool Set Only $6.15! You are here: Home / Great Deals / Amazon Deals / Kid’s 3-Piece Garden Tool Set Only $6.15! Kid’s 3-Piece Garden Tool Set Only $6.15! If you’ve got kids or grandkids who love to play in the yard or garden, then this is the perfect set for them! Get this Kid’s 3-Piece Garden Tool Set Only $6.15 at Amazon!